Home / Creativity / What sparks your passion ? I have been making soap for over 10 years and its a well-worn craft that I do. Some soaps I have been making for most of those 10 years. I tweak some of my regulars every once in a while to keep things interesting. I also love experimenting with new scents and colors and design. This craft feeds both sides of my brain- the chemistry and science of formulating a new recipe that does has a different luscious scent or seems to be more skin-loving. The creativity and artistry that takes colors and forms new designs. I love all this about the craft. But you know what really sparks my passion for soapmaking? It is sharing it with others and teaching soapmaking. I love seeing this spark light up the eyes of my students as they make their first batch of soap. I never get tired of seeing this passion light them up. So what feeds your soul? What things do you get excited about and look forward to doing? Is it reading a mystery novel that is a real page turner that gets you wrapped up in the plot so you stay reading till 2AM ? Is it going for a hike in the woods where you can gaze up at a clear blue sky? Pulling out a recipe that you have not made in a long time and deciding now is the time to make it? We all have secret passions or maybe not so secret things that fire us up and get us excited. Things that make a fiery start in the pit of our stomach and spread out to warm us all over in that glow. Taking the time out your day or week to stop and grab some time for yourself to do something that warms your heart. This is where passion starts. A craft or task or just calling up a friend to share a cup of coffee. We all need to steal some time for ourselves or share with others what brings us joy! What makes you happy and excited ? What do you look forward to doing. Make a point of setting time out for you. And then let the sparks fly! I have to say that we are similar Marilyn. I love soap making and can talk about it non stop. Teaching is an extension of that. It’s the sharing of that passion, seeing the excitement in someone else when they realize that they too can make soap. One of my favorite places is any soap conference. Being with others who love soaping and don’t roll their eyes when I start talking about it is a great time. Love the soap conferences. Hope to go to Atlanta next year. Are you going ? It is and i do love the chemistry & creativity it inspires! 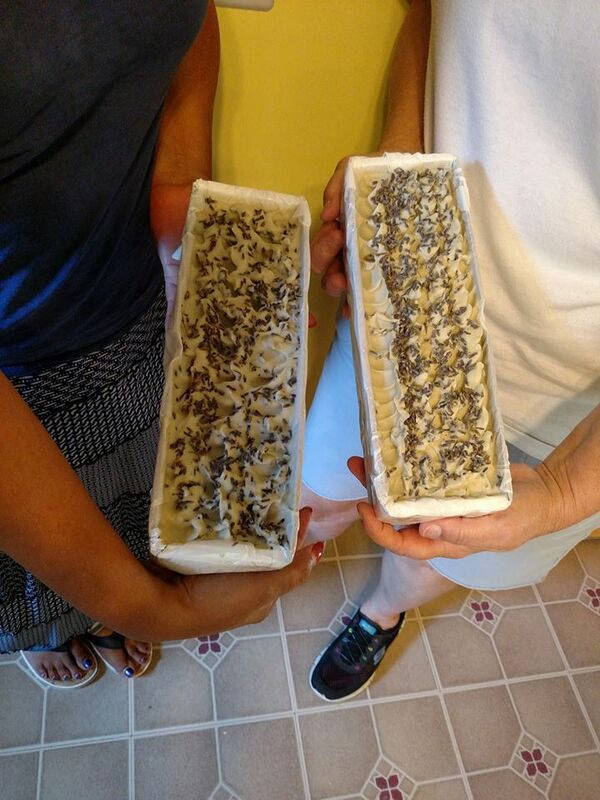 I made soap today with a friend from my neighborhood. She had recently attended a group soap making class that was mostly demonstration. She was so happy to learn from me and that I gave her some hands on experiences during the soap making process. It was so much fun and we’ve decided to do it again sometime soon. Love soaping with someone-so much fun!